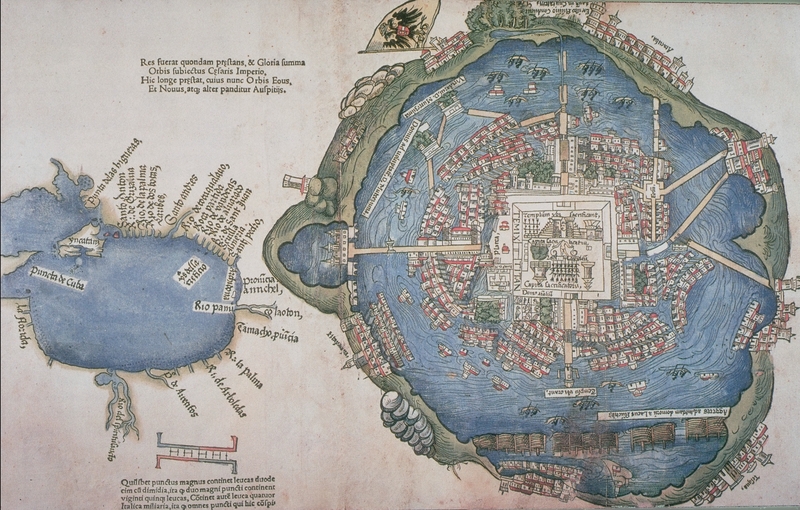 Map of Tenochtitlan and Gulf Coast, 1524. Via mesolore.org. ; you can find a larger, zoomable version here.